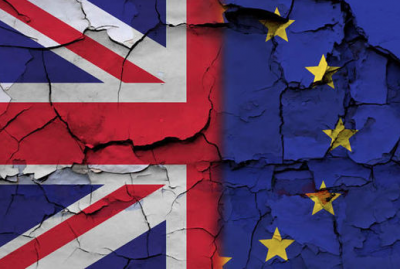 BREXIT – The Collapse of Confidence – What Now? These are some of the latest results coming from YouGov about the state of politics in Britain. Public sentiment is driven by the biggest post-war decision the country has made – Brexit – and it is now going very, very badly indeed. Much worse than anticipated. With 69% of Britons believing that Brexit is going badly, and with the political class pointing fingers in all directions, who does the public think is at fault? Now a new YouGov study shows that the answer is very different depending on whether people voted Remain or Leave. The largest figure of blame for Brexit going badly – is the government. Two thirds (68%) of those who think Brexit is currently going badly say that it is the government’s fault. This includes three quarters who voted Remain (77%) and 58% of Leave voters. Slightly more of the British public think that voting to leave the EU was wrong for Britain than think it was the right decision, and on most measures, more people expect it will have a negative than a positive impact. Despite all this negativity, most people in June, two years after the referendum still thought that the government should go ahead with Brexit, and the overwhelming majority expect that Britain will – ultimately – end up leaving. That was, until Theresa May’s Chequers plan. Let’s not forget what that actually means. That fall in the electorate voting Tory would prove quite a drama because the fall of ten per cent – is a fall recorded just before the Chequers plan and just after – not the overall fall. This defection has led to the voting intention changing from Tory to Labour. The latest YouGov/ Times voting intention survey sees the Conservatives on 36% (from 37% in our most recent survey) and Labour on 41% (from 39%). Elsewhere, Liberal Democrat voting intention stands at 9% (from 10%) while 14% would vote for other parties (unchanged). What this means is that the electorate is losing confidence in the party driving Britain’s Brexit negotiations. This is demonstrated quite clearly as Theresa May’s overall standing collapses. With the government still reeling in the aftermath of the Chequers Brexit plan and the resignations it precipitated, new YouGov favourability polling reveals that the Prime Minister’s popularity has hit an all-time low. It should be noted that, as stated above, those turning against the Prime Minister appear to be Leave voters. The only truly amazing statistic about Theresa May is that at the summer recess – she’s still Prime Minister. And few would have bet on that at any odds just six months ago. Having now outlined their most recent Brexit plan, voters are even less clear on where the Conservatives stand on Brexit than they were before. The proportion of people who think the Tories’ policy on Brexit is “very” or “fairly” clear has fallen from 26% in mid-June to 16% now, while the proportion who find it “fairly” or “completely” unclear has risen from 58% to 69%. The way of interpreting this is quite clear. It’s a mess. We have a lot to be fearful of because of politicians. Jeremy Hunt’s appointment to foreign secretary and the four biggest positions at the head of the U.K. government — prime minister, chancellor, foreign secretary and home secretary — all filled by people who voted to remain in the EU but are now tasked with negotiating a path out. The electorate don’t believe in their plans for Brexit – even though they agree Brexit should mean Brexit. That means a battered Britain is in for a further period of instability and more confusion, as a government led by people who don’t believe in Brexit in the first place will now finalize a framework to present to the EU who won’t agree to it anyway. A no-deal scenario is now a stronger possibility and even the terms of that have to be agreed between the EU and the U.K. by the deadline. This would actually be an economic calamity for both the UK and the EU. Truthfully, in a no-deal scenario, that forecast is optimistic. Brace yourselves. It’s time for a new way to manage Britain and it isn’t the way we have right now. Featured image is from TruePublica.